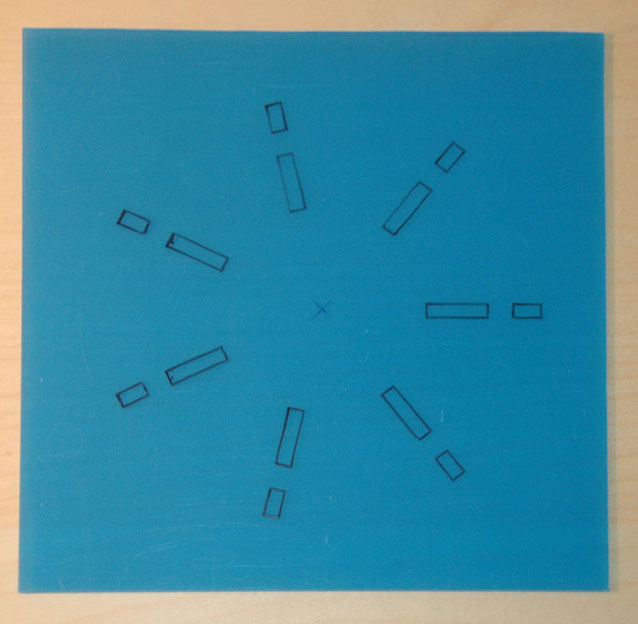 Cut a board 8" x 8" which will hold the sensors and encoder disk. This board is plastic with a width of 3/32". I'm using Acrylite sheets from Home Depot. 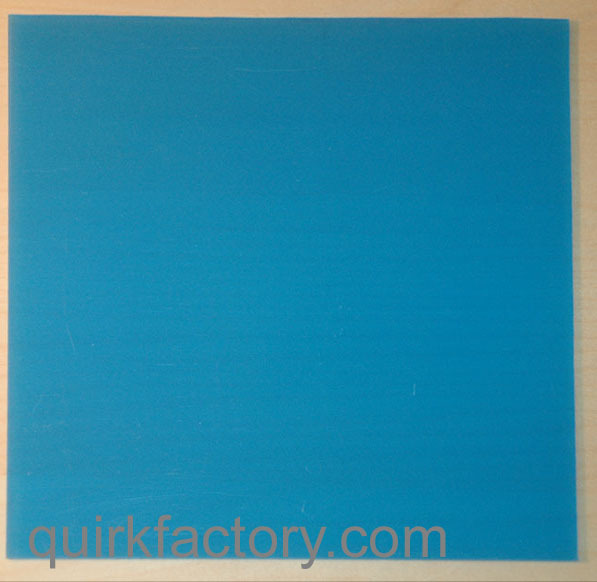 If present, peel the plastic cover from one side of the board. When marking the board later on, you'll want the marker to stick to the board. Use this postscript file to print a template. Don't scale the image when you print it - we want the printed disk to be 6" in diameter. Best results will be obtained using card stock paper. Cut out the portions as shown in this picture. Those will be used to align the sensors. The smallish cut-outs indicate the position of the sensors; the longer cut-outs are positioning guides for the plastic strips that will be attached later. If you haven't already done so, remove the plastic cover from the board (if present). 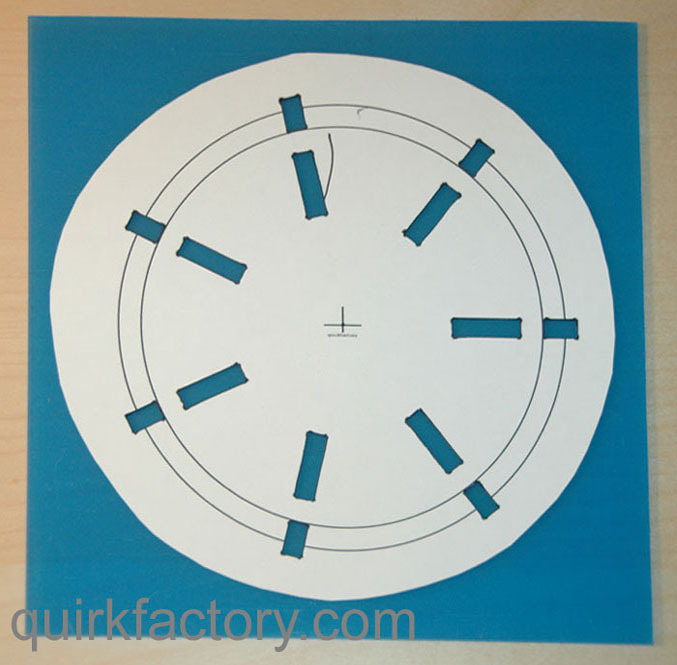 Place the cut-out template on top of the board that you've cut out. Mark the center of the board and make sure the center of the template aligns with the center of the board. 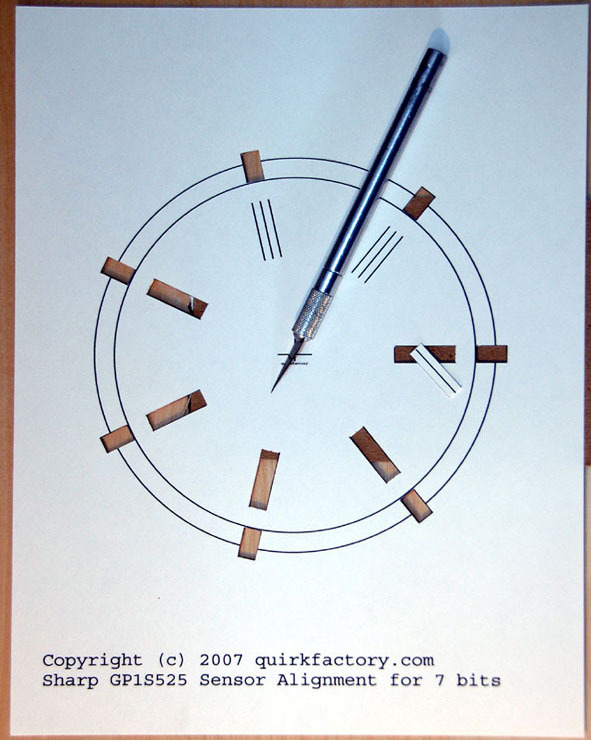 While holding the template steady (use tape if needed), use a marker to outline the holes in the template. When you're finished and remove the template, the marked board should look something like this picture.